By favorably combining large internal surfaces, strong steric confinements, and high transport rates, mesoporous solids with pore sizes between several to tens of nanometers currently attract increasing interest for potential applications in catalysis, separation, drug delivery, chemical sensing, energy conversion and storage, and many other fields. Moreover, the potential enclosed in this very particular range of pore sizes has already been recognized to be useful for improving the industrially-relevant properties of micro- and macroporous materials by interpenetrating them with a mesopore network. Because achieving a particular geometry of the pore network is often the key to a purposeful design of a process or an application, accurate structure determination becomes one of its critical aspects. This is not a trivial task due to both (i) technical limitations related to a specific range of the pore sizes in the nanometers, and (ii) specific material properties, such as geometrical disorder or amorphousness of the pore walls, rendering applications of the commonly-used characterization techniques rather not straightforward. Aside from further improvements of the classical characterization methods, like gas sorption or mercury intrusion, the emergence of novel approaches may substantially advance our understanding of mesoporous solids. 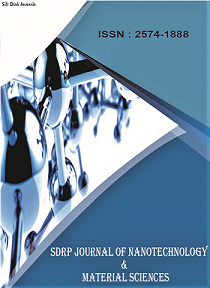 In all stages from the synthesis of mesoporous materials to their application in large-scale processes, very rich physical behavior inherent in mesoscopic systems necessitates notable efforts to understand a multitude of phenomena emerging in each step. Hence, their explorations often require using interdisciplinary approaches and close collaborations between scientists working in inter-related science areas. This becomes particularly important for designing novel mesoporous solids with predefined properties and functionalities. On the one hand, structure characterization methods need to be further improved in order to obtain the most reliable information about pore space. On the other hand, these improvements shall be based on studies using the materials with deliberately designed geometrical properties resulting from well-controlled synthesis procedures.